Whenever anyone talks about intranet benefits you always hear the same things: increase communication, greater productivity, cost-effectiveness, organization and so on. 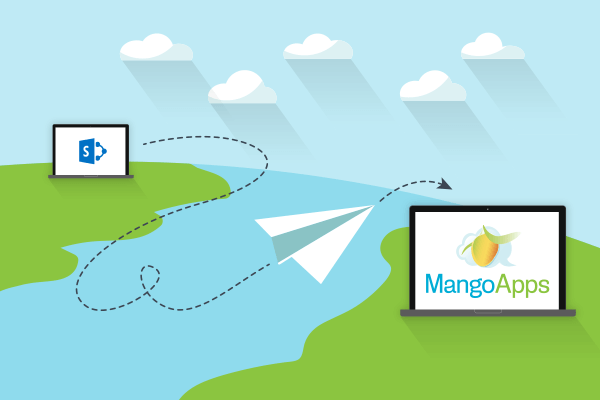 And while we absolutely agree with those benefits and love intranets for those reasons, at MangoApps we have learned that intranets have the ability to do a lot more. 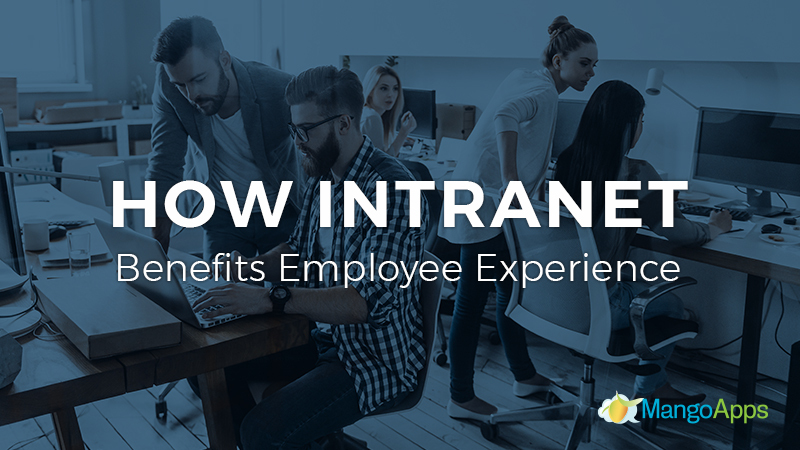 If integrated properly, a dependable intranet benefits not only your business but also your employee experience in a few interesting and unexpected ways. Modern-day employees list feeling undervalued as their second highest stressor at work. Employees want to engage and to be fully invested but when supervisors resist employee involvement or suggestions are ignored, employees eventually stop trying. Their original ideals of making a difference quickly wear away and they simply stay quiet and do their work until they eventually get burned out and move on. Only 30% of American employees feel they are engaged at work and only 42% of employees are happy with the recognition they receive. Thankfully, this attitude is changing, largely due to intranets and other team collaboration tools. A social Intranet benefits employees by ensuring that everyone has a chance to contribute in a safe, open and collaborative environment. Employees who may hesitate to share in a public setting or may be unable to participate due to distance or schedule can actively and regularly contribute and collaborate with teams and individuals all over the company. Intranets in turn also create a more open, creative, and engaging work environment that gives every employee the voice they deserve. Company culture, while admittedly a bit of a buzzword right now, is a real factor in employee retention, happiness, and overall job satisfaction. In fact, co-workers and work environment have a larger influence on workplace happiness than a person’s actual profession. Employees with work friends, regardless of their career, are seven times more likely to be engaged in their work. So in theory, you would be happier working at in a field you dislike with a strong company culture than you would be working in a position you were passionate about with a weak atmosphere. With those kinds of results, anything that helps businesses achieve a strong company culture is of course incredibly important. An intranet benefits your company and employees by becoming the social space you need to create a healthy company community. Intranets connect coworkers and colleagues that might not normally interact due to distance or work schedule. It fosters an environment of working with each other toward a common goal, builds a place for teams to overcome and accomplish tasks and increases workplace collaboration and success. An engaging and thriving employee intranet benefits employees by providing them with the tools, help, and resources they need to work successfully and improve their workplace confidence. Recent studies have shown that low workplace self-efficacy, or an employee’s belief that he or she can accomplish a job or task successfully, is directly related to increased job burnout and workplace dissatisfaction. When employees know how to find the resources they need to perform their tasks workplace confidence, happiness, and productivity increases. Self-efficacy studies have also found that confidence in the workplace is directly related to trusting and encouraging leaders by providing an environment where the worker can achieve their results independently. Intranets offer employers exactly that environment. Information on a company intranet is up to date, easy to find, and accessible at any time. Giving employees the tools they need to find answers for themselves creates an atmosphere of trust and avoids the anxiety and discouragement of over the shoulder micromanagement. A brand or a company, much like a person, has a specific voice, style, and even personality. Every brand is a little different and having a clear and consistent brand is crucial to success. Brands tell people both inside and outside of the organization who they are, what they stand for and establish a relationship of understanding and trust. People work for and buy from brands because they like who they are and know what to expect. When someone appreciates and enjoys a brand and naturally shares it with others he or she is known as a brand champion. Companies, of course, want their employees to be brand champions and intranets are the perfect way to make that happen. A company intranet lets you communicate your brand standards, goals and personality traits and allows employees an open and collaborative space to share how they contribute to that vision and perspective. An intranet’s ability to create a community also helps employees feel included and see where they fit into the big brand family. This helps with everything from onboarding to sales to employee engagement and company culture. At MangoApps, our brand personality is to educate, inform and create great products designed to help you thrive. We believe that an innovative intranet has to include tools like mobile compatibility, two-way engagement, team collaboration tools and more to contribute not only to your business but also to everyone who works there along the way. We provide companies with the evolution of intranet, allowing them to achieve success every day.